We started diving the beautiful Phuket dive site at manta bay a few years ago. Mainly when Banana Rock was too busy but the new coral growth and marine life has seen us return frequently. 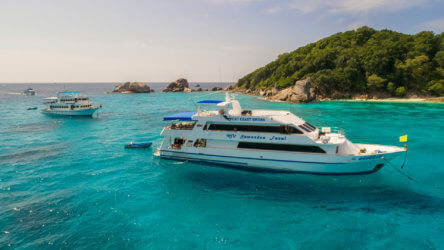 It’s now a regular dive site for the second immersion on the Racha Noi/Yai scuba diving tour. There’s plenty to see for all levels and conditions are generally very easy. 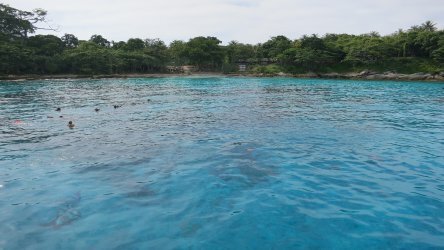 Who Can Dive At Manta Bay? Everyone! It’s a very simple dive site. 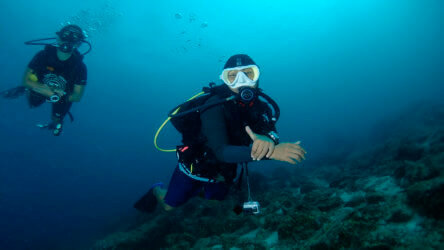 The shallow areas are perfect for PADI Discover Scuba Diving and the deeper areas have plenty for experienced divers. Currents are generally mild and we tend to drift with it until it’s time to surface. Our Phuket dive boat MV kebsup will pick you up wherever you finish. Couldn’t be simpler! What Will I See At Manta Bay In Phuket? Ahh the million dollar question.. well obviously we have seen manta rays but that’s not a common sighting. 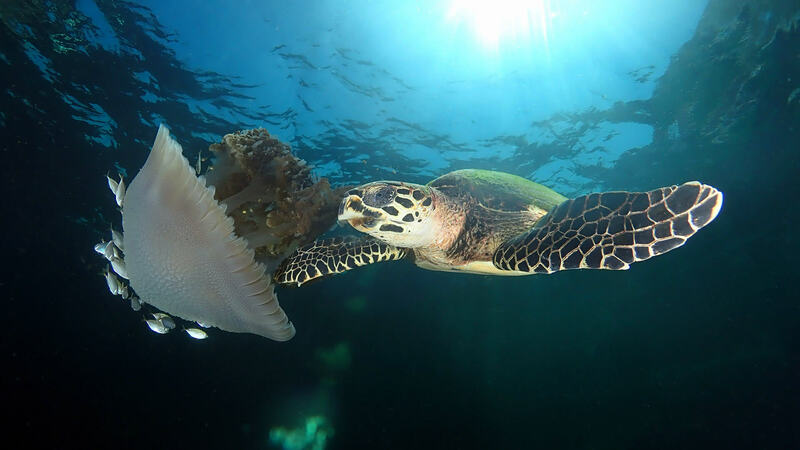 Hawksbill turtles are very often found in the shallow part so even those on a snorkelling trip can see them. A resident school of snapper cover one of the deeper bommies and giant frogfish have made manta bay for the last few seasons. 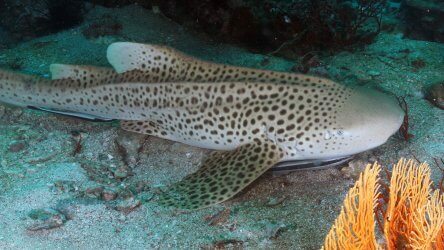 As well as all the usual reef fish, we sometimes see eagle rays and leopard sharks. A school of 30 – 40 great barracuda are always hanging around somewhere on the dive site. Unusually for a local Phuket dive site, there’s quite a bit of soft coral. Various different species give a very pleasing back drop to the marine life. In the deeper areas we have hard coral bommies that attract clouds of glassfish at certain times of year. The most pleasing aspect is signs of new staghorn coral growth at the North end of the dive site. Hopefully in a few years the beds will become extensive as they have at Banana Rock. 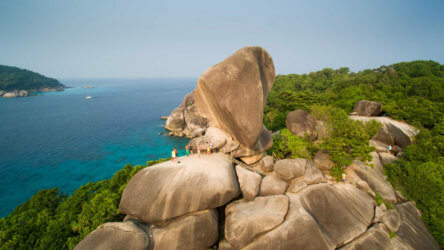 We visit Racha Noi/Yai every Saturday, Monday and Thursday – you can see our full Phuket scuba diving schedule here. We can’t promise to visit manta bay on every trip but we do try to get there often and of course as with all diving it’s weather and conditions dependant. That’s the easy part, just send an email to info@localdivethailand.com , call us on +66(0)76-384-285 or contact us via our Facebook page. If you want to come and talk to our knowledgable staff before booking, you can drop by our sales office in Patong or our main office located in Chalong. Posted in Amazing Local Dives on March 31, 2019 .